Ever wondered how you could “test” your pattern to see if it would go together properly BEFORE you start cutting? 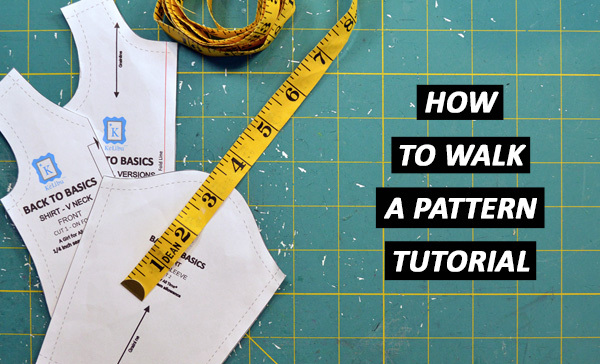 This video will show you how to walk a pattern to make sure that all your seams and pieces line up properly before you start cutting or sewing. This technique works with all patterns! Check out https://fashion-incubator.com/ There is a wealth of information on Kathleen’s site for those that sew and/or make patterns! Excellent video! Thank you for sharing those tips! Thank you Kelly! Learning how to do this really helped me on my journey as I began to alter human clothing patterns and then draft my own. I hope it helps others because a lot of times you can make easy corrections to the pattern before you start cutting out your fabric. It’s not always as easy once the pieces are cut…as I’m sure you know! Be prepared to spend MANY hours going through Fashion Incubator. It’s an amazing resource.